As we throttle through what remains of summer, most accounting and finance leaders are dealing with the typical challenges of the corporate landscape during the the transition to the fall. We get it, time to wipe off the sunscreen, put away the beach chairs, and buckle down behind the laptop for some marathon sessions as Q4 and end of year planning exercises ramp up. It’s a good time to take stock of where you’re at presently, and begin the planning process for where you want to go as it pertains to B2B payment processing strategy. This article should help you have clarity about the things that must be a priority for your business as you explore B2B payment solutions for the upcoming year and give you a winning edge. For certain, there’s never been a more complex time to assess all the goings on in the B2B payment processing arena. There are more ways to pay your vendors than you can shake a stick at, and though there are many options, not all are great and certainly not equal. As such, it’s the goal of this article to get you thinking about your options as you move forward this year so you can make solid decisions for your business..
Checks have been in use for nearly 300 years, making it far and away the oldest item on this hit list, and while the fundamental points of the check haven’t really changed, some innovations along the way have modernized it to include, banking numbers for accounts, institutions, and the facilitation of MICR (magnetic ink verification recognition) technology along the bottom border. Also known as automated clearing house, ACH is an electronic network for financial transactions in the United States that’s been around since 1974 and is governed by NACHA and US Federal reserve. It’s modernized how businesses conduct payments amongst themselves and has contributed to faster b2b payment cycles at a lower cost than checks. Launched by Western Union in 1872 on its telegraph network, it's known for being reliable and is undergirded by SWIFT or Fedwire systems that have unparalleled immediacy and finality to the payment execution. This does come at a premium in terms of costs as we’ll see in a moment. Commercial card refers to traditional corporate credit cards or purchasing cards. These are physical credit cards that empower business to transact and pay via existing credit networks from the likes of Mastercard, Visa, or American Express. They offer varying degrees of controls, flexibility, credit thresholds, and to an extent create float periods that are advantageous to payers. From the payee perspective, the drawbacks center on the merchant fees levied by the card network for processing the transaction and the intake portion from a processing standpoint. Virtual payments are a newer outcropping in b2b payment types, but one of the most lucrative for payers. Essentially they create a single use credit card transaction that can fund the payment of one or multiple invoices. The upside here is that the payer harnesses the payment stream in order to tap into the interchange pool that enables them to create a stream of cash rebates into the business. Additional feature sets that are compelling are the visibility and controls latent in this payment type. What are the nine things you need to know when you begin planning your B2B payment processing strategy? 1. Payment fees vary massively by b2b payment types. As such, if you’re not quantifying what it takes and how much it costs to physically conduct payment, you’re not aware of how much that is helping or hurting your business. According to The Accounts Payable Network, the average cost to process (authorize, print, and mail) is $5.14. The average cost to process an ACH transaction per the Association of Financial Professionals is $.56 (between internal and external costs). The average cost to process and EFT / wire payment is $14.42 again per the same AFP report. The average cost to process a credit card transaction is nil from an internal (payer) standpoint but anywhere from 2-3.5% of the transaction which is incurred by the payee. The same as the point above goes for virtual payments though,this generates a rebate stream back into the payer’s business anywhere from .5-1.25% of the eligible credit spend. 2. 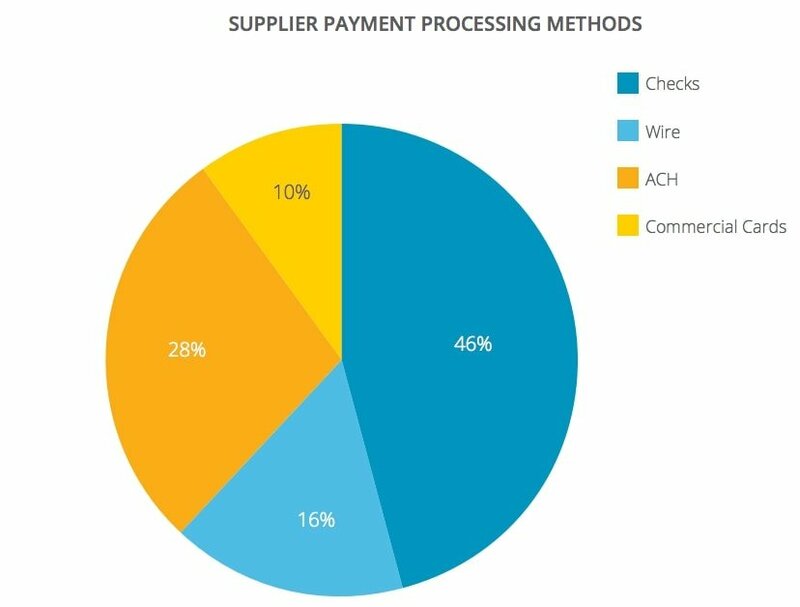 Check payments, though not inexpensive, are slow, and still make up the majority of b2b payment types in the US when considered categorically. The reason for this really has to do with a few things we’ll look at in the following point, but primarily is centered around resistance to change and lack of any kind of mandate forcing change. 3. While it’s widely known that optimal b2b payment processing strategy centers on electronic payments, it’s ironic that many times there are numerous things that serve as roadblocks to actually adopting more efficient and beneficial b2b payment types. Things as basic as corporate culture can effectively hit the brakes on initiatives that would otherwise create value and drive the organization forward. For others, legacy systems, such as AS400’s, can create all sorts of issues with manipulating and integrating data. This lack of flexibility can stymie the best intentions in terms of modernizing b2b payment processing for many businesses. Further, lack of clarity on security protocols or needs can also retard advancements made in this area. 4. Smart finance and accounting leaders recognize the time value of money. When it comes to AP invoice processing, certain elements are fairly straight forward. Pay the bill on time and you don’t incur late payment charges that penalize you for missing your payment terms. Pay your bill early, and you can typically reduce the bill by some pre-negotiated or dynamic discount, typically in the 1-3% range. However, for those who understand the implication of capturing early payment discounts, you’ll quickly grasp that the annualized return rate of netting a 2% discount dynamically or within a ten day payment cycles is the equivalent of bagging over a 36% investment yield. Not too shabby, and there’s a detailed breakdown of how that works right here! 5.The importance of visibility in B2B payment processing can’t be over-stressed. This should be common sense for any kind of accounting manager, controller, or CFO, but having access to the pertinent payment details of a particular transaction is crucial. One of the key advantages to ePayments over traditional check payments is the latency factor. n other words, electronic payments methods provide better insight into the status of payments throughout their delivery and execution. When sending check payments,for instance, there is a longer period of time for the receipt, processing, and settlement functions, which has some negative consequences from an insight perspective, but does have the benefit of check float, which matters more to some finance leaders than others. However, things like ACH, virtual credit cards, and wire provide rich payment data and empower both payer and payee with a broader and timelier data set. Depending on what your perspective is, this is a value added area that is worth noting. The byproduct of enhanced insight into B2B payments is heightened cash management strategy and tighter alignment to treasury functions.In other words, an elevation of value for accounts payable from just data crunchers to key stakeholders in the process. 6. Get control over payment errors. B2B payment processing whether in a fully, semi, or non-automated environment is going to have its fair share of transactions that contain some level of error. The fact is that the higher the volume of your transactions, the greater that number of errors will be, and from our perspective an ounce of prevention is worth a pound of cure. 7. Why virtual cards are pro. We consider virtual credit cards to be the apex predator of the B2B payment solutions that are in the market. They boast extremely high security standards due to their nature of being temporarily active and that for single use. This level of security means that fraud instances on virtual payments usage is extremely unlikely. Additionally, because payment data is transferring electronically, it can be disseminated dynamically and to both parties (payer and payee) and at a nominal cost. Obviously merchant fees are levied on the accepting organization, but in most cases it’s a cost of doing business and a means by which customer payments are facilitated. Granted, reconciling the payments for the payee can be a trick but there are services in place now to accommodate and automate exactly that. The rebate stream generated is the real kicker here. When prior to virtual payments have corporate payments ever been able to be monetized other than in a dynamic discounting scenario? 8. Turns out companies are into reducing costs...go figure. Wire - $11-$15 per wire, yowza! Virtual payments - Gratis, with the exception of the merchant fee passed on to the payee, anywhere from 2-3.5/4%, so touchdown for the payer! If you’re lumping all your processing into checks and wire, that’s costly, painful and something you can obviate upstream through a better B2B payment processing strategy. 9. When it comes to B2B payment solutions, there’s a ton of different ways you can go, but not all ways are equal. You certainly could cobble together relationships across the spectrum of payments, but how many people want to manage multiple relationships for different payment mediums…? We think it’s better to identify a B2B payment solutions provider that can meaningfully address all of your payment needs across all payment methods. So that would mean one that could help you automate virtual credit card, check, ACH, and wire payments. Additionally, another layer of value would be one that assists you with strategic functions like vendor outreach and payments solicitation. In other words, one that reaches out on your behalf to your vendors by levering a pending payment as a fulcrum to drive adoption to preferential payment methods. (FYI this is exactly something we do to drive virtual payment adoption rates higher so you get to taste and see that this payment stream is good). Additionally, if it’s strictly down to payment delivery vehicles and you’re not trying to go upstream with payments by way of capturing dynamic discounts, you’re missing out even further. A solid B2B payments partner is going to have tools for you to enable you to create dynamic discount offers to your entire supplier base, whether or not you have pre-negotiated and established payment terms with your vendors. As such, if you’re not getting this out of our payments partner, you’re getting short-changed (sorry, but it’s the truth). Hopefully this has shed some light on the b2b payment solutions landscape for you that will help guide b2b payment processing strategy as we get set to close out this calendar year. 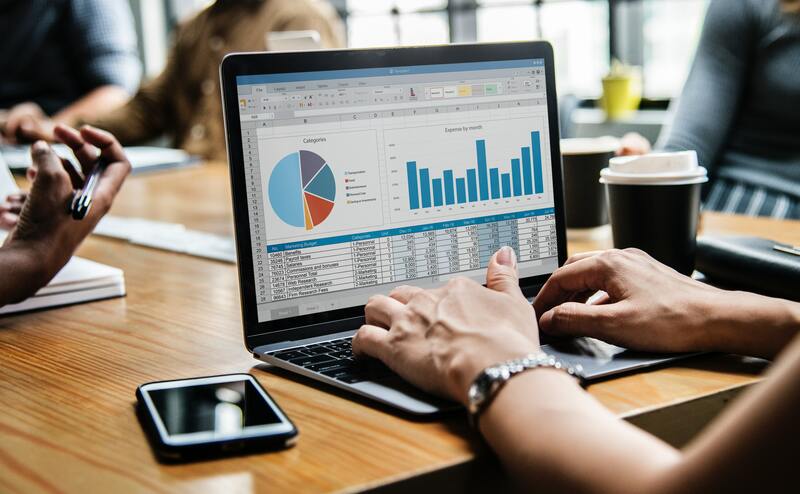 We have a treasure trove of great insights and content available here for you to continue to explore things like accounts payable automation and we’re always an email away, so reach out if you’re looking for answers!